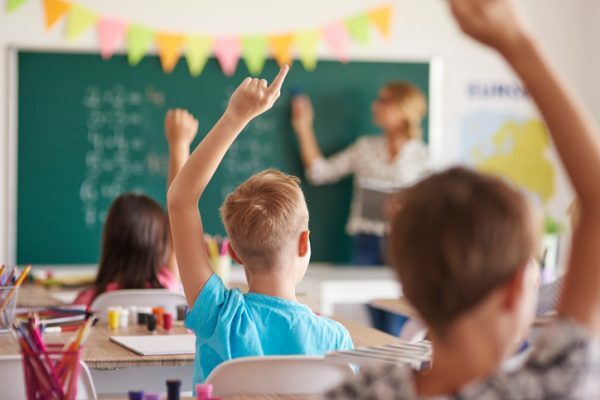 The ACT’s public schools can be risky workplaces with figures showing almost 700 staff were assaulted in one year, and separate data revealing that nearly $6 million in workers compensation had been paid out to teachers in the past five years. The Education Directorate said there were 679 reported incidents of verbal and physical violence towards public school staff in 2015-16, including 349 teachers, 282 learning support staff and 48 principals. The Education Directorate said it took the issue seriously and would employ three specialist staff to help teachers combat occupational violence with funding allocated in this year’s Budget. A Directorate spokesperson said that balancing the right of every child to a good education with the rights of teachers to be safe at work was challenging. “Unfortunately, this issue is not unique to the ACT. We are taking a strong stand on this issue as schools are places for learning – not a place for violence,” the spokesperson said. The spokesperson said the Directorate believed that all incidents should be reported and that its initiatives were making an impact. “We take incidents seriously and have formal mechanisms in place to support work health and safety across our entire workforce,” the spokesperson said. The Directorate said that in the five years to 2016-17, teachers had 370 accepted workers compensation claims. Of those, around 11 per cent (42) were for psychological injury with payments totalling $1.6 million. It said that nationally teachers tended to have a higher than average risk of psychological injury. In 2012-13 there were 13 accepted claims; in 2013-14, 5; in 2014-15, 7; in 2015-16, 9; and in 2016-17, 8. The Directorate said the estimated average total lifetime cost of teacher psychological injury claims had been reducing since 2014-15, which was indicative of improving injury management and return to work performance. The average lifetime cost for psychological injury claims incurred in 2016-17 was $153,000. For the 328 non-psychological claims that included physical injury and diseases, the bill over five years was $4.27 million, with the average estimated total lifetime cost of a non-psychological injury claim incurred in 2016-17 about $63,500 per claim. In 2012-13 there 63 non-psychological claims; in 2013-14, 80; in 2014-15, 72; in 2015-16, 60; and in 2016-17, 53. The Directorate said independent, professional counselling services were available to all staff through its Employee Assistance Program, with additional support provided to beginning teachers including time to engage with mentors and undertake professional learning. The Directorate said there was also Code of Conduct training with all school staff at least once a year. “In addition, Respect, Equity and Diversity (RED) training is offered to and expected of all staff in supervisory positions. All staff have access to RED Contact Officers who are located in about 90 workplaces throughout the Directorate,” it said. The Directorate said this year’s Budget included $1.4 million over four years for a return to work and retraining initiative and complements an existing whole of government program. Is enough being done to keep schools and teachers safe? What more could be done?